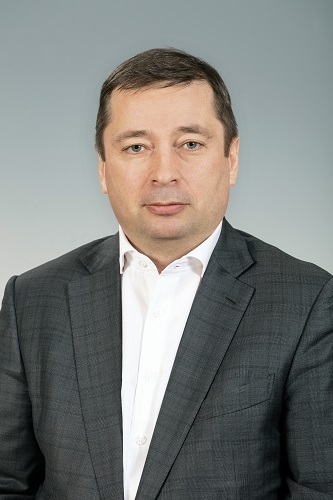 Yury Gilts has been appointed Managing Director of Volga Shipping Company JSC from 16 April 2019 in addition to his post of Managing Director of North-Western Shipping Company PJSC, says press center of Volga Shipping Company. Yury Gilts was born in Tallinn in 1968. He is a graduate of Saint-Petersburg University of Economics and Finances. Between 1995 and 2001, he was employed by Murmansk Shipping Company OJSC. Between 2001 and 2003 – First Deputy to Director General of Northern Shipping Company OJSC. For over a decade Yury Gilts held leading positions at FESCO Transportation Group. Used to take part in management of Rail Garant and RusTransCom groups’ railway assets. From August 2017 — Managing Director of North-Western Shipping Company PJSC. The appointment of Yury Gilts to the position of Volga Shipping Company’s Managing Director in addition to his post of North-Western Shipping Company’s Managing Director will let enhance centralization of UCL Holding’s shipping business, ensure the development of a common strategy, integrate the best practice and competence in the field of safe shipping, commercial/operational/technical/personnel management as well as consolidate the financial resources. Aleksandr Shishkin, who had been heading Volga Shipping Company for more than 19 years will take the position of an Advisor to the General Director of UCL Holding’s Management Company on shipping issues and will focus on his activities at the Board of Directors of Volga Shipping Company. The meeting of the Board of Directors held on April 16 elected him as the BoD Chairman. Aleksandr Shishkin was born in 1951. In 1975, he graduated from Gorky Institute of Water Transport Engineers with specialization in marine navigation. Aleksandr Shishkin has been with Volga Shipping Company from 1976, first as a navigator and a master, then from 1995, holding senior positions in shore subdivisions of the company. Between July 2000 and April 2019 — Managing Director of Volga Shipping Company JSC. Honoured Transport Worker of the Russian Federation, he was given the highest industry award, Medal of Merit for Development of Transport Complex in Russia. Volga Shipping Company JSC is one of the biggest transport companies in Russia. It was founded in 1843. The company transports cargoes along rivers and lakes of the country and on international routes. In 2018, Volga Shipping Company carried 10.8 million tonnes of cargo. North-Western Shipping Company PJSC, is the largest carrier in the Russian system of waterways, specializing in export/import shipping of bulk, general and project cargoes, towage of oversized cargo and crafts. In 2018, the company carried 5 million tonnes of cargo. Both are companies of VBTH, shipping division of Universal Cargo Logistics Holding, international transportation group consolidating a number of railway, stevedoring shipping and logistic companies.